The Proton Persona and Saga have been offered with optional bodykits for some time now, with the former available since its launch and the latter as of May last year. Now, the national carmaker is offering SS (meaning Special Skirting) versions for both kitted-up models as part of a limited time promotion. In terms of design, the kits are largely identical to what we’ve seen before, where both cars gain an under spoiler fitted to the front bumper, side skirts and rear bumper enhancer. The only difference here is they are finished in a gunmetal colour instead of their default colours. As part of the promotion, the kit is provided free for the Persona 1.6L Premium CVT variant, while all 1.3 CVT variants of the Saga – Standard, Executive and Premium – get the styling package as well. However, the offer is available for a limited time only – until the end of May 2018. After that, the bodykit for the Persona will cost RM1,900 and RM1,800 for the Saga. Another thing to note is the gunmetal colour for certain parts of the kit are only available during the promotion and will revert to their original colour scheme after then. Geely cud rebadge Proton Persona and Saga in China. they shuld,,if both of them sangat laris here then p1 will dpt durian runtuh sell these at sarangBurung Land! ooo waiii! Who is the head of Proton Marketing? Please sack the fella. What kind of Village Hero would use the term “Special Skirting”? The Shiok Sendiri is strong in this hero. The whole village is so proud of him. Does he even know the historical significance of the term SS when used in automotive parlance? Probably not as the coconut shell only encompasses the village. Tahniah Proton Marketing. Not selling fast enuff hence stock piling Fast. Old stock cars converted to limited edition SS versions ? 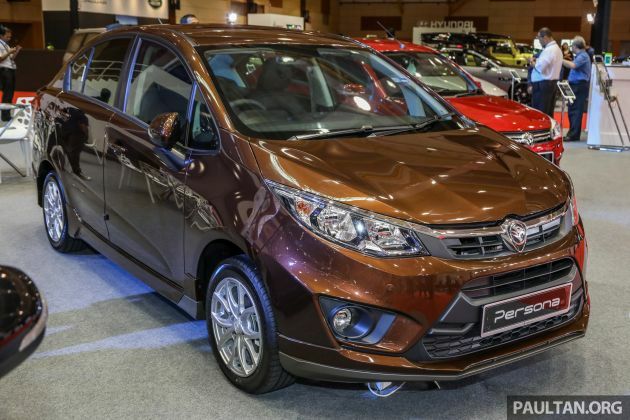 Proton is getting more premium! Nice joke! Special skirting make car premium! He has taken PREMIUM to a new low standard by his logic. they have no choice but to offer this. After the 2018 Myvi was launched, Proton having a hard time to make sales. Everybody is going for the 2018 Myvi because it uses a Toyota Vios Engine and yet, it is priced at RM50k. Ha ha… kesian.. dia typo tu bro… nasib x ckp enjin sama dgn ferrari..
Ada perbezaan di situ, tentunya. Proton Preve, harga lama ialah model 1.6 CFE Premium, otr termasuk insurans. Dibandingkan pula dengan harga Preve 1.6 NA Manual, otr TANPA insurans. Soklan cepumas here = block design 2nr-fe dan 2nr-ve lain rupa kah? Stilk same toyota dual vvti engine. Not honda ivtec engine or camptakpro vvt problematic engine. Since when campro is problematic? Then how come many sagas personas preves exoras moving on road? you created fake news. Lol even “illiterate” basher knows VVT is not engine lor. The engine still derived from campro though. Other engines also has valve variable timing, only the terms they use for it are different. And why need to copy others term? Hmm? The term is not specific, if you dun want copy why car still 4 round tyres? Why adopt vvti if u say p1 have hebat engine, why not continue improve so called cps or iafm system? duh..
john, U have given Special UGLY a New name. Limited edition? The number people that actually buying is lagi limited. What? Not eev campro cvt engine? Few months later will come up news saying due to popular demands, we are extending the promotion for ss version so more ppl will have the opportunity to own it blablabla.. Except that everybody knows that means nobody buying it..
Dear Proton, pls make saga all variant ESP as standard basic feature….instead of all featureless skirting. I think the new two-tone bodykit for the Saga looks great ! Reminds me of the Saga FLX SE’s bodykit. BERMULA sekarang hingga 29 April (Ahad) ini, pastikan anda tidak ketinggalan datang ke Pameran Auto Malaysia (Malaysia Autoshow) 2018 di MAEPS Serdang yang menjanjikan pelbagai keseronokan kepada pengunjung yang hadir. Huh?? This is the exact bodykit option for the Premium Persona right?? Only a different color (honestly, will look similar to the original grey) and call it a “special edition”? Tough it’s looks a bit better but it’s useless easy kena bump scratch if u goes indoor sempit carparks. Ori persona already looks good. Gives options to std and exec variant to upgrade to leather seat at this price are more useful. I like that skirting on Proton Saga. Very nice. Those new skirting absolutely enhance the proportion of the design. Well done. no matter what skirt or not you add in. Mr CEO Li pls read this. Warehouse full of unsold units basking in the rain + shine. Chop the low volume models and just rebadge. After add in this bodykit, the car gained a respectable 50hp and 100 Nm torque. accelaration times also improved to 5 seconds from 0-100 and topping out at 250kmph. With just RM1,900 and now even get for free, it makes your proton a sports car. even my civic turbo also dare not challenge and proton cars with bodykits. 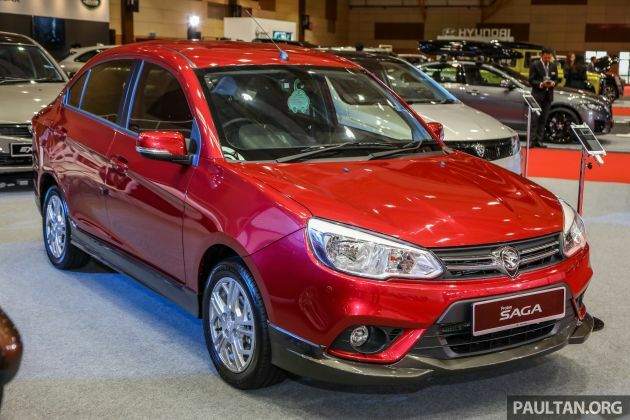 After being bought by Geely, there is no big changes in Proton product line. Still unchanged, just a minor appearance change. Proton even intro Preve which have been updated but seems same old way at 70k plus. To gained my trust in Proton, you should come with something excited because my past experience really avoid this brand at all cost. Even Proton manage to come out with something better, it will take 5-7 years before buying. We do not wish to become lab experiment again. 5-7 years mean, after using for few years we need to monitor cost effectiveness, after warranty period, major or minor issue, resale value, quality of road worthiness, parts lifespan and lastly fuel consumption. Readers may dislike my opinion but this is real life experience with Proton. I hope Proton never use local name, please us something international name. Good luck.